Xtreme™ C-4 Torque Fluid is an ultra-premium hydraulic transmission fluid that eliminates the need for numerous special ATFs, servicing virtually all domestic and foreign vehicles sold in North America. 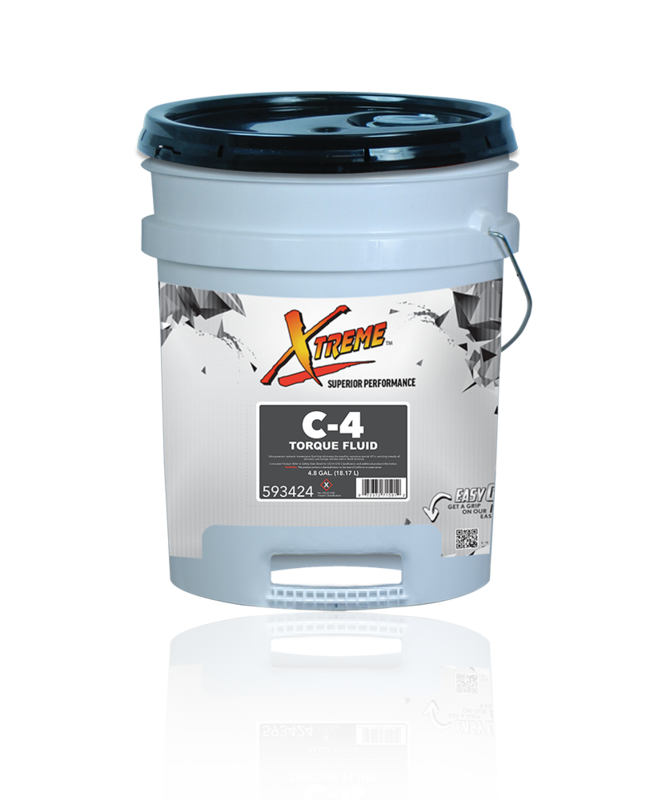 Xtreme C-4 Torque Fluid is suitable for use in General Motors transmissions where earlier high viscosity versions on Dexron®, Dexron® II, Dexron® III, or Ford Mercon® test standards are required. This product is also suitable for use in most transmissions manufactured by Chrysler Corporation and all heavy duty automatic transmissions manufactured by Allison Transmission requiring C-3 fluids.